According to some estimates, the US is likely to emerge as one of the major LNG exporters by 2020. However, it appears that Washington is seeking to use its liquefied hydrocarbons as an economic weapon in the fight with its geopolitical rivals, Russia and China. Washington has weaponized its liquefied natural gas (LNG) supplies to kill two birds with one stone — expel Russia from the European energy market and win a "trade war" with China. Following the 2014 February coup in Ukraine and Crimea's reunification with Russia, the administration of Barack Obama, the 44th President of the United States, called upon the EU member states to cut their reliance on Russian gas, citing "security" reasons. Speaking at the March 2014 EU-US Summit in Brussels, Obama urged the US' European allies to hurry up with the conclusion of the controversial Transatlantic Trade and Investment Partnership (TTIP), offering US liquefied natural gas (LNG) in exchange. "Once we have a trade agreement in place, export licenses for projects for liquefied natural gas destined to Europe would be much easier, something that is obviously relevant in today's geopolitical environment," Obama said in response to then-European Commission President Jose Manuel Barroso's appeal to step up US gas exports. Viewing US LNG as a potential tool in the competition for the EU energy market, Washington focused on developing LNG plants on its territory. The country started exporting its liquefied hydrocarbons from the lower 48 states on a broad scale after the Sabine Pass terminal in Louisiana became operational in February 2016. According to the US Energy Information Administration (EIA), the US five additional LNG projects "are expected to increase total US liquefaction capacity to 9.6 Bcf/d by the end of 2019." In October 2017 the Institute for Energy Research (IER) predicted that the US will soon emerge as the major LNG exporter: "Between 2016 and 2020, the United States is expected to account for about half of the 20 billion cubic feet per day of new LNG export capacity worldwide," the IER's study said, adding that "worldwide LNG demand is now around 37 billion cubic feet per day." Does it automatically mean that the US LNG is likely to come out on top in the European market anytime soon? The US LNG supplies to Europe stand nowhere near those of Gazprom: the Russian gas giant delivered a total of 194.4 billion cubic meters of gas to European countries in 2017, according to the Gazprom Export website, versus around 72.9 billion cubic feet (2.26 billion cubic meters) of LNG supplied by the US to the Old Continent (Italy, Lithuania, Malta, Netherlands, Poland, Portugal, Spain, and the UK), as EIA estimates. For comparison's sake, while in 2017 America transferred 3.4 billion cubic feet (0.097 billion cubic meters) of natural gas to Poland, a vocal antagonist of the Gazprom-led Nord Stream 2 project, Russia provided Warsaw with 10.47 billion cubic meters of hydrocarbons. The reason behind this disproportion is crystal clear: The price for the US LNG for Europe is about $1-2 above northwestern European benchmark gas prices, Oilprice.com pointed out last June. 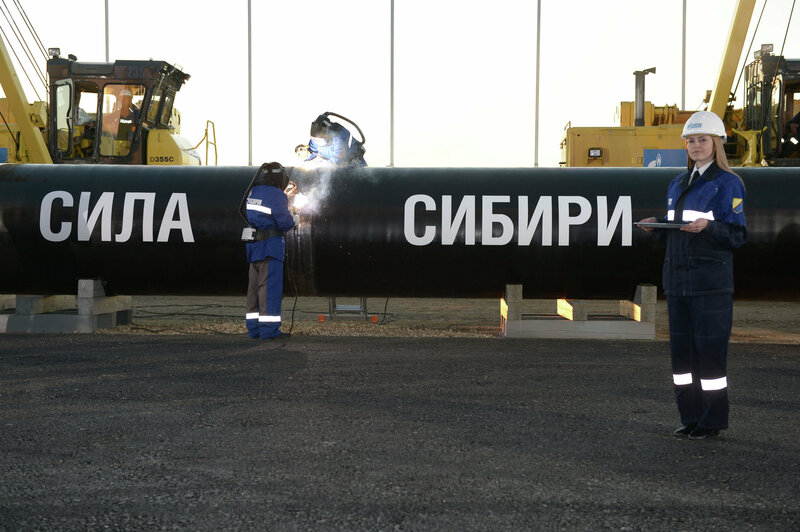 The media outlet further specified that Russia's Gazprom is not America's only competitor in the EU energy market — in case the Russian gas producer is expelled from Europe, the Trans-Adriatic Pipeline may replace it and deliver Caspian gas to the Old Continent; meanwhile Qatar still remains the world's largest LNG exporter. Donald Trump's ascendancy to the presidency was marked by the toughened sanctions regime on Russia, Iran and North Korea which was signed into law on August 2, 2017. The new round of sanctions imposed over Russia's alleged interference in the 2016 US presidential election and collusion with Trump, which the latter has vehemently rejected, potentially targeted EU firms involved in the $11 billion-Nord Stream 2 gas project. 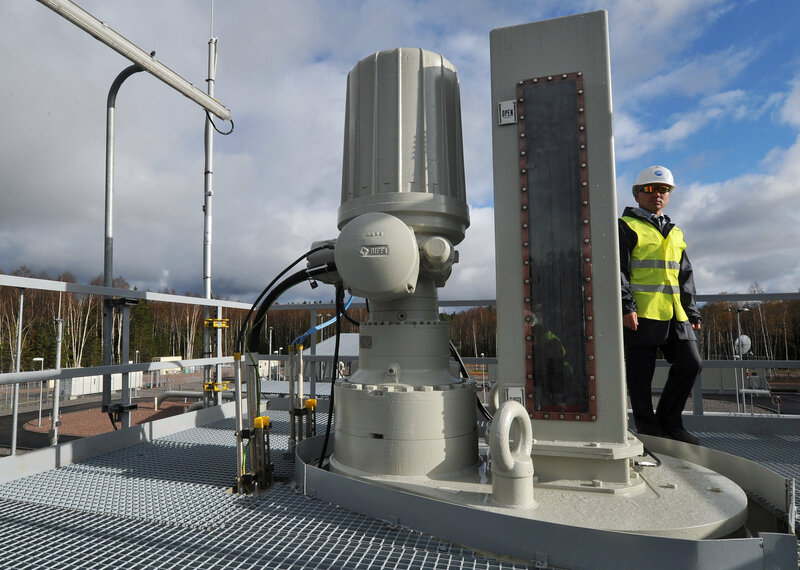 Earlier, Germany and Austria, the two countries participating in the Gazprom-led initiative to build a pipeline system through the Baltic Sea, lambasted US policymakers seeking the United States' own vested interest in exporting gas to Europe. "Europe's energy supply is a matter for Europe, and not for the United States of America," Germany's Foreign Minister Sigmar Gabriel and Austria's Federal Chancellor Christian Kern said in a joint statement. For his part, Gazprom Deputy Chief Executive Officer Alexander Medvedev stated: "As far as the implementation of the sanctions is concerned, they don't conceal that this is aimed at ensuring American LNG to Europe." However, following the imposition of sanctions, Gazprom signaled that it will fulfill its obligations no matter what: "According to preliminary estimates, this does not diminish the possibility for Gazprom to borrow abroad," Alexander Ivannikov, a Gazprom official, noted, highlighting that the legislation could be broadly interpreted. Regardless of the efforts of the US' Eastern and Central European allies to throw sand in the gears of Nord Stream 2, Berlin continues to push ahead with the project: On March 27 Nord Stream 2 AG received the full set of permits in Germany for construction and operation of the pipeline system. Earlier, in January 2018 international observers were caught by surprise when the first batch of Russia's own LNG produced by the Yamal LNG plant arrived in the US city of Boston, carried by a tanker of France's Engie company, despite the US sanctions regime. They were even more surprised when the second shipment of Russian LNG reached American shores. Given all the above, it is hardly surprising that Trump decided to turn to the East, reinforcing Washington's pivot to China. According to IER, Chinese natural gas demand could reach 330 billion cubic meters (11.65 trillion cubic feet) in 2020. Right now Mexico, South Korea and China remain the major destinations for US hydrocarbons, receiving about 53 percent of US LNG exports. European countries collectively account for the only third-largest share of US LNG exports after Asia and North America (Mexico), according to EIA. It appears that President Trump and Secretary of Commerce Wilbur Ross decided to use US LNG exports as a tool in a looming trade war with Beijing. Since Trump assumed the presidency, the two countries have been involved in a dispute over the US-China trade deficit, which rose to $375.2 billion in 2017. Having imposed additional tariffs on steel and aluminum exports, the White House announced its plan to impose tariffs on up to $60 billion worth of Chinese imports. In addition, Secretary Ross addressed the Chinese last week claiming that the best way for Beijing to reduce its trade gap with the US is to buy more American LNG. "China needs to import very, very large amounts of LNG and from their point it would be very logical to import more of it from us, if for no reason other than to diversify their sources of supply. It would also have the side effect of reducing the deficit," Ross stressed as cited by Bloomberg. China has become the second after Europe to receive an ultimatum from Washington to buy US hydrocarbons in exchange for improved relations. However, it seems that following the EU example, Beijing will not sacrifice its national interests and would rather rely on the Sino-Russian Power of Siberia gas pipeline, which is due to become operational in December 2019, than on US LNG supplies to ensure its energy security. Russian natural gas resources have long been a thorn in the US side. Several decades ago, in 1982, the CIA's special national estimate called "The Soviet Gas Pipeline in Perspective" predicted that the USSR would increase its gas exports to the West in the near future. "By far the most promising potential for export expansion is in the massive resources of West Siberian natural gas," the paper said. "Proved reserves of Siberian gas are ample to cover any likely increase in total energy consumption in the USSR during the 1980s and 1990s as well as a large expansion in gas exports to the West." According to the document, the USSR had started delivering its natural gas to Western Europe beginning in the early 1970: "Between 1968 and 1975 Moscow concluded eight 'gas for pipe' agreements with Austria, France, Italy, and West Germany." Some of the contracts envisaged gas deliveries by the Soviet Union up to the year 2000. Trying to hinder the construction of the Soviet gas pipeline to supply Western Europe, the Reagan administration imposed an embargo on American goods and technologies which could facilitate the completion of the project. However, the move prompted a split between the US and its European NATO allies, which led to the lifting of sanctions on November 13, 1982. However, citing a new memoir by a Reagan White House official, Thomas C. Reed, The Washington Post wrote in 2004 that the Reagan administration did not give up its plans to sabotage the Siberian gas route and ordered the CIA in January 1982 to provide the Russians with the technology that contained hidden malfunctions. According to Reed, the alleged operation resulted in a huge explosion in the Siberian pipeline. Decades later, the US has dug up the hatchet of the gas war with Russia.